Move right into this Split Level home. 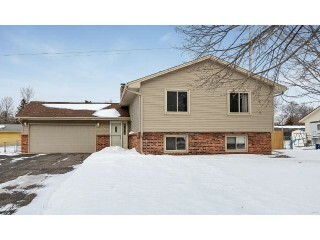 Not your average Split since house has large Foyer area/w 3 Bdrms on upper level. Enjoy remodeled Kitchen boasting Granite countertops and Stainless Steel appliances. Wonderful deck off dining room to fenced backyard area. Don't miss the two fireplaces and two additional rooms in lower level that could make this a 5 bedroom home. Owner's bedroom is a suite since having it's own bath, hence total 3 bath home! Close to schools and easy highway access.